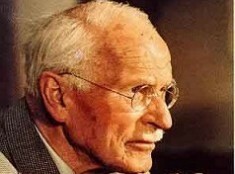 The Striving Styles Personality System is a sophisticated integration of Carl Jung's classic theory of Psychological Type and later important theories and discoveries in neuroscience. Propel your developmental approaches; embrace the complexity of the human experience with the SSPS. Striving Styles is the only assessment and development system in the marketplace that seamlessly combines four key theories of the brain to accurately capture the true underlying causes of behavior and habits of mind. However, it takes their work to the next level by humanizing and bringing the functions to life through the use of easily recognized archetypes (icons). The more we learn about the brain, the more we realize how much Jung got right in his seminal book on Psychological Type first published in 1923. Striving Styles starts with familiar Jungian Psychological Type Theory as a foundation: eight distinct Pscyhological Types, each with a preferred function. For practitioners, this means you can use your existing knowledge to greatly accelerate your adoption of the SSPS. Katherine Benziger identified areas of the brain that housed the functions Jung identified, as well as focusing on falsification of type and the consequences of not living true to Type. The Benziger Thinking Styles Assessment was among the first to marry psychology with biology; a step towards a more holistic view of personality development, a hallmark of the SSPS that we've taken one step further. In the 1960’s Roger Sperry and his colleagues discovered the functional specialization of the cerebral hemispheres, our "Right Brain & Left Brain". The connection between the two hemispheres enables them to work together to process information and regulate autonomic function. The Left Brain needs input from the right to process non-verbal information and negative emotional input and the Right Brain needs input from the left to analyze information, assess danger, communicate verbally, and achieve positive emotions. Ned Herrmann developed the theory of brain dominance which suggests that we have a dominant mode of thinking preference. It is rooted in our genetic makeup and affects our underlying cognitive capabilities. We respond with our strongest abilities, creating a positive feedback system that strengthens those abilities and leads to a powerful preference for one style and a discomfort for other modes of thinking. 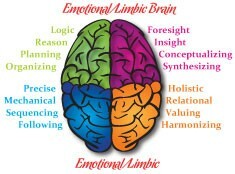 The SSPS helps clients to use their whole brain rather than one or two sections. It is through using all four Striving Energies or their Striving Style Squad that clients emerge as stronger, more capable human beings. 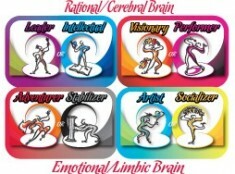 Put the science behind Striving Styles to work for you.